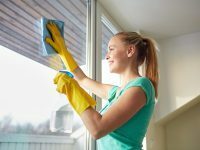 Apply for Home Cleaning Work! Find house cleaning jobs Los Angeles. Build your own schedule and work close to home. For most people, house cleaning is the one task that they don’t want to tackle in their life. Most people see house cleaning as a necessary evil, and it isn’t uncommon for a homeowner to employ a professional house cleaner. Many house cleaners often have a fairly easy time finding house cleaning jobs Los Angeles. Housekeepers bring organization to home. They make sure that a home feels and looks clean. A professional cleaner provides clients with the luxury of consistently having a clean home to enjoy. There are certain things that all employers look for when hiring a house cleaner. The first thing that employers look for is someone who is trustworthy. Second, it helps if someone is hardworking and experienced. Housekeepers who have had previous jobs cleaning homes or buildings often have a better idea of how to meet a client’s needs and expectations. There are certain characteristics and traits that most housekeepers naturally have. For example, many housekeepers are naturally well organized, meticulous, and detail-oriented. They often have a knack for knowing how to clean something well, and are highly aware of their surroundings. It also helps to find house cleaning jobs Los Angeles if housekeeper is reliable. The majority of families who use house cleaners normally have very busy schedules and need an individual who can come on time. If a family cannot rely on a housekeeper, the house cleaner may not be able to keep their position for very long. One of the most important things that people will need in their housekeeping job search are excellent references and reviews. Homeowners are often wary of housekeepers who use relatives in their reference. Relatives often have a tendency to have biased and exaggerated point of view. It’s far more credible for a house cleaner to have non-related references that can vouch for their professionalism. In addition to former employers, house cleaners can also use former co-workers as references as well. Some housekeepers are new to the home cleaning field and don’t have any former employers they can use as a reference. When this is the case, the prospective housekeeper may want to consider volunteering at an organization so that they can later use that as a reference. Homeowners want a trustworthy housekeeper. This is especially true with all of the negative news media and attention domestic workers have received in regards to theft and abuse. The housekeeper who has wonderful references and reviews is more likely to receive job offers. One way that people secure housekeeping jobs Los Angeles isn’t through classified ads. Some people may put an ad in an online directory, post in a forum, or even put an ad in a newspaper. While this can be an effective way to find house cleaning jobs Los Angeles, it’s certainly not the safest way. The best way to find housekeeping jobs Los Angeles is through an online agency. Online agencies usually match house cleaners with families. They may also help with contracts and background checks. An online agency makes it easier for both the house cleaner and the homeowner to find the perfect person for their particular situation.